2013 ( US ) · English · Thriller, Criminal · PG-16 · 94 minutes of full movie HD video (uncut). 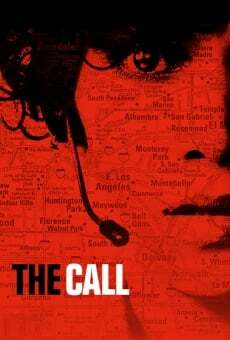 The Call, full movie - Full movie 2013. You can watch The Call online on video-on-demand services (Netflix, HBO Now), pay-TV or movie theatres with original audio in English. This movie has been premiered in Australian HD theatres in 2013 (Movies 2013). The DVD (HD) and Blu-Ray (Full HD) edition of full movie was sold some time after its official release in theatres of Sydney. Movie directed by Brad Anderson. Produced by William Gallo II, Carlos Alberto de Oliveira Jr., Alberto Raposo de Oliveira, Robert Stein, Allen Church, Michael J. Luisi, Guy J. Louthan, Dale Rosenbloom, Jeffrey Graup, Philip M. Cohen, Michael A. Helfant and Bradley Gallo. Screenplay written by Nicole D'Ovidio, Jon Bokenkamp and Richard D'Ovidio. Commercially distributed this film, companies like TriPictures, Square One Entertainment, KVH Media Group, Eagle Films, Diamond Films, Village Films, Home Box Office (HBO), Tokyo Theaters Company, Sony Pictures Releasing, UGC Distribution, Sony Pictures Worldwide Acquisitions (SPWA), Sony Pictures Home Entertainment, Roadshow Film Distributors, Warner Bros., Sony Pictures Releasing Canada, InterComFilm, Captive Cinema Distribution, Tanweer Films, Cathay-Keris Films, TriStar Pictures, ADS Service, Culture Publishers (CP), IPA Asia Pacific, Universum Film (UFA) and Kam & Ronson Enterprise Co. This film was produced and / or financed by Emergency Films, TriStar Pictures, Roberi Media, Troika Pictures, Apotheosis Media Group, WWE Studios, Stage 6 Films and Amasia Entertainment. As usual, this film was shot in HD video (High Definition) Widescreen and Blu-Ray with Dolby Digital audio. Made-for-television movies are distributed in 4:3 (small screen). Without commercial breaks, the full movie The Call has a duration of 94 minutes; the official trailer can be streamed on the Internet. You can watch this full movie free with English subtitles on movie television channels, renting the DVD or with VoD services (Video On Demand player, Hulu) and PPV (Pay Per View, Netflix). Full HD Movies / The Call - To enjoy online movies you need a HDTV with Internet or UHDTV with BluRay Player. The full HD movies are not available for free streaming.